Mint SIM is an MVNO of T-Mobile, and a sub-brand Ultra Mobile. Ultra has been around awhile now with pretty good success, so it's unlikely to disappear anytime soon. As a massively struggling retailer, Best Buy is trying to better compete by offering exclusive products. Both Target and Walmart have had great success in wireless with this strategy. It appears as though they're easing into it with an online only program with Mint SIM. Perhaps if it's successful it will be expanded to their brick and mortar stores. In my opinion, they won't see much traction online. One thing that retail still has going for it is discovery of new products and brands. There's nothing more powerful than walking into the wireless section to see a new, very competitively priced wireless provider. That type of appeal with the in-person experience is very powerful and valuable. It will be interesting to see how this relationship evolves. EnTouch Wireless is a Lifeline provider that has been offering free cell phone service to eligible applicants. Now they have launched paid plans that are targeted at low income individuals who either don't qualify for the free service, or are in need of more features. They have three unlimited voice and text plans, with the $20, $30, and $50 plans including 0.5GB, 1GB, and Unlimited GBs of high speed data, respectively. When high speed data allowances are used up, there's still unlimited low speed data. In addition, if you do qualify for Lifeline, but prefer one of these plans, you can apply for the Lifeline $10/month discount. Lifeline providers have always had the choice of offering free service, or the $10 monthly subsidy. Historically, most providers have taken the free service approach, which certainly has a powerful marketing message. Legacy Cricket, prior to its acquisition by AT&T, was the only provider I knew of that offered the Lifeline program as strictly a $10/month credit. That said, that program has long since been discontinued. It's also interesting to note that enTouch is a sub-brand of MVNO Ready Wireless. Given the saturation of the entire wireless market, now it's all about stealing customers, and keeping them for as long as possible, particularly where there are no contracts. In this vein, while Ultra Mobile is certainly not innovating by lowering prices, it is trying to keep customers longer. They now have $19, $29, and $49 plans, all of which include unlimited calling to 60+ international destinations. It's also offering customers the ability to purchase 3 months of of the $19 service in advance to gain access to unlimited data (3G only though), and an additional 4th month free on the $49 plan. This will help attract new customers, and quickly migrate them upwards to their top plan. It's highly likely that after the first 4 months a good proportion of customers will stay on that plan, or take time to migrate back down to the $19 or $29 plans, all of which translates into higher revenue for the carrier. This 6" smartphone/phablet packs a lot of value in for $129 off contract. 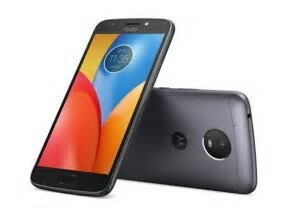 It has a massive battery, 1.4GHz octa-core processor, 2GB of RAM, 32GB of internal storage, expandable microSD card slot, 16MP and 2MP dual rear cameras, 8MP front camera, and a fingerprint sensor. It's currently available at MetroPCS. It's smartphones like these that continue to challenge the value of $600+ flagship phones. While those flagships are certainly better overall, are they $500+ better?! 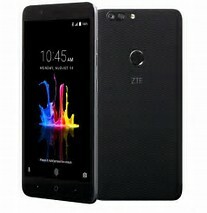 This 5.5" smartphone is quite feature rich with a quad-core 1.4GHz processor, 2GB of RAM, 32GB of internal storage, expandable microSD card slot, 13MP rear camera, and 5MP front camera. It's currently available at Republic Wireless. Definitely another great option for those looking for great features at a fantastic price. Here we have competition on a different plane; that is family plans! MetroPCS now offers one line for $50, and up to 4 more lines for $25 each, resulting in its 2-line unlimited plan at $75 slightly lowering the price bar across the industry. Note that only SD video streaming is supported. While competitors do come out at approximately $5 more for two lines, they do include other features. For example, Boost includes unlimited talk and text to Mexico, as well as 8GB of data roaming. As per usual, the greater the competitive forces, the greater value for customers! As always, please keep in mind the long term total cost of ownership, and don't be swayed by any short term offers or promotions!